Tires are one of the most critical components of your vehicle. They play a major role in ensuring your Toyota maintains optimal performance and safety. That means routine tire maintenance is extremely important. Without it you’ll end up with uneven wear and shortened tire life, which then leads to reduced fuel efficiency and poor handling. 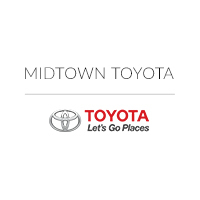 In order to help protect you and your vehicle, Midtown Toyota provides routine tire maintenance in our state-of-the-art Toyota Service Center.